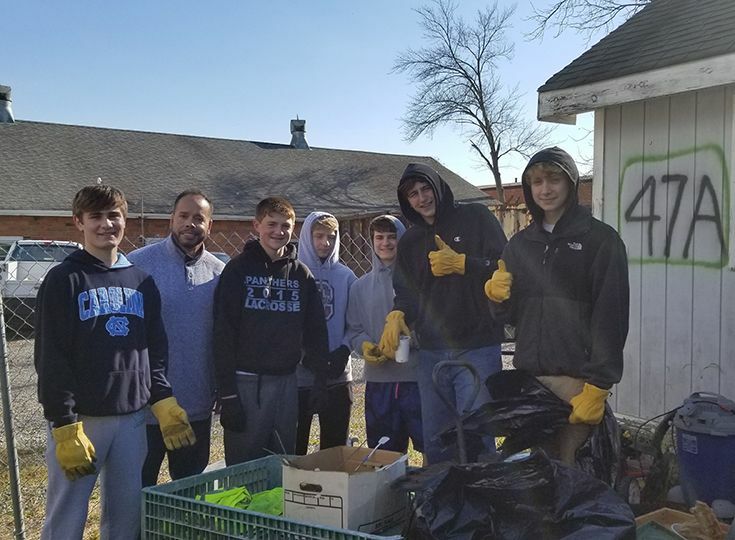 Members of the Varsity and Middle School boys’ lacrosse teams participated in “Project Greenhouse Fall Clean-up” this past Saturday, November 10 at Lyons VA Hospital Greenhouse. The Knights spent the day cleaning all of the old fall mums from the fields and from the greenhouse in preparation for the holiday season. As a result of their efforts, the greenhouse is now clean and prepared for poinsettias and other holiday items to be sold to the public. This will help create seasonal jobs and income for veterans who have had difficulty finding employment in the past. It was an especially important day as the clean-up took place the day before Veteran’s Day and the boys were able to thank all the veterans for their service to our country. 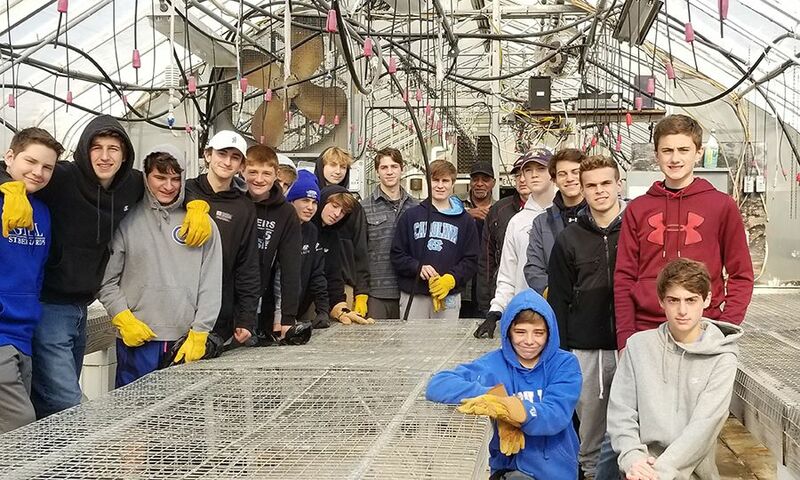 This is the second time the lacrosse team has helped out at this greenhouse and have established this relationship through MTINJ whose mission is to create employment opportunities for veterans with barriers. Great job to the Knights for helping out the local community!